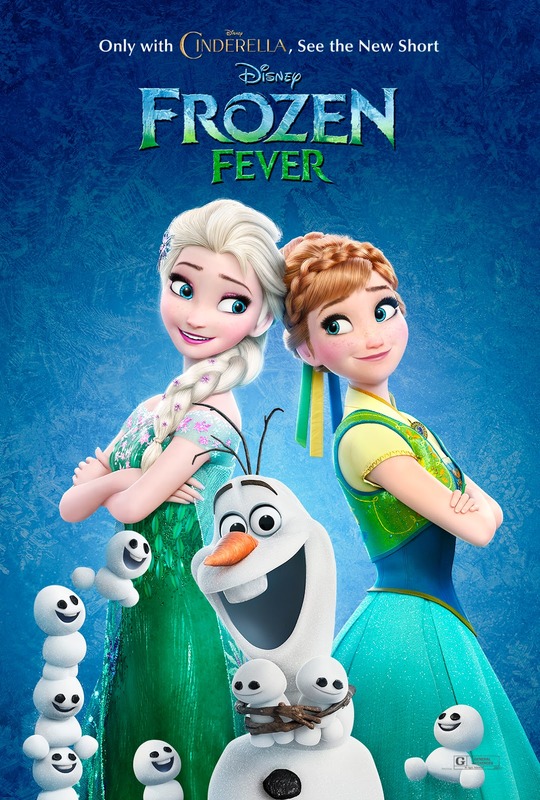 It's Anna's birthday and Elsa plans to throw her the perfect surprise party with the help of Kristoff and Olaf. However, after planning the huge party and as Anna is being led on a "party treasure hunt," Elsa finds that she has caught a cold. She starts sneezing and produces a group of small, cute snow people, much like Olaf, with each sneeze. After some near-misses, a very exhausted Elsa finally makes it with Anna to the courtyard where the party has been arranged. It is a big hit, and at last, Anna manages to convince Elsa into letting her lead her to bed and take care of her. Meanwhile, Olaf has taken the tiny snow creatures under his wing and takes them to Elsa's ice castle with the help of Kristoff. Short Story: Elsa wants to throw a surprise birthday party for Anna with the help of Kristoff, Sven, and Olaf. However, she gets cold and unknowingly creates animated snowmen who destroy the decorations.